The number of people living in urban centres around the world continues to grow, creating a host of challenges when it comes to keeping urban centres livable, sustainable and equitable. The United Nations Department of Economic and Social Affairs estimates that, by 2050, 66 per cent of the world’s population will live in urban areas, up from 54 per cent in 2014. “The most challenging issues facing cities today will require solutions drawn from the widest possible range of disciplines in order to be effective,” said President Gertler. There are more than 220 faculty members at U of T conducting urban-focused research, representing over 40 academic units and divisions from engineering and architecture to urban planning and public health. The School of Cities will tap into this rich resource of urban knowledge, creating opportunities for cross-disciplinary collaboration. The establishment of the School of Cities was approved by the Faculty of Arts & Science Council on March 21 and will begin operations on July 1. It followed three years of extensive consultations and input from a steering committee and working group made up of faculty members from all three campuses. “So many people were interested in playing a role, and we were really delighted to discover how widespread the interest was and how hungry people seem to be to collaborate across these disciplinary boundaries,” said President Gertler. The School of Cities is unique because it draws scholars from very different regions of the Greater Toronto Area through its three campuses – downtown Toronto, U of T Mississauga and U of T Scarborough. “So many of the challenges and the opportunities that city regions face are situated in more suburban parts of cities like this one, so we are extremely fortunate to be able to draw on colleagues in Scarborough and Mississauga in order to tap into their expertise,” said President Gertler. The university hopes the School of Cities will serve as a resource for GTA city builders and an opportunity to forge new partnerships with communities in the region, strengthening one of the university’s core values of leveraging its urban location for the mutual benefit of the university and the city. “Everything we do to make the GTA a better place ultimately helps the University of Toronto and its three campuses to become better, because we know that our success as a university rests directly on the quality of life in this great region,” President Gertler said. This means expanding the reach of U of T research, he said. The School of Cities allows the university to define and broaden the role it plays as a city builder, said Shauna Brail, U of T's presidential adviser on urban engagement and director of the urban studies program. “That means U of T can further strengthen its capacity as a city-building institution, working not only with academics but with cities, with government, with communities, with the private sector,” she said. 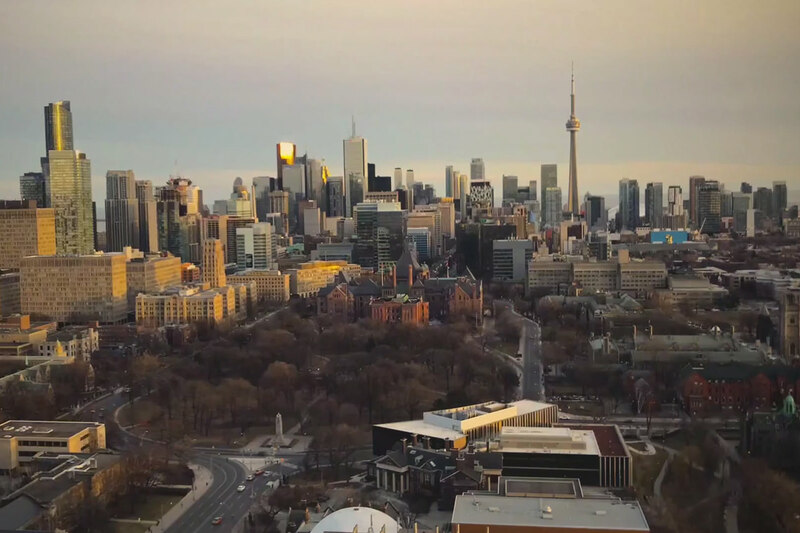 While the School of Cities will be firmly rooted in the GTA, it will also be addressing issues faced by cities across Canada and around the world, said President Gertler. “We see it as a hub in a global network where we will be connecting with scholars and practitioners in other major metropolitan regions around the world, whether it be places like Shanghai or Mumbai or elsewhere,” he said. Over the coming months, the School of Cities will begin to shape its identity – appointing an interim director and associate directors, and forging partnerships with university divisions and external organizations. For the near future, there are plans for the School of Cities to host a global cities summit that will bring the world’s leading urban thinkers together to discuss the most pressing issues. U of T also hopes to create an urban lab where undergraduate and graduate students and faculty can work together with industry and government partners to solve a specific urban problem. “We will provide more opportunities for our students to be engaged in research. Urban research is an area that is bristling with promise,” said President Gertler. This also means expanding successful co-op and internship programs such as those at U of T Scarborough and Innis College in order to reach more undergraduate students, he said. The School of Cities is ensuring its membership and the subject matter it pursues are as diverse as the city itself, said Brail. “We have an obligation as a new centre at the University of Toronto to intentionally make a difference and make a statement about prioritizing inclusivity and diversity,” she said. To address diversity is also to recognize the inequalities that exist within cities like Toronto, said President Gertler. To do so, the School of Cities must reach out to underrepresented regions and communities, said Marieme Lo, director of African studies and associate professor of African and women and gender studies. “These are not the usual communities that are brought to the table,” said Lo, who is on the School of Cities’ steering committee. “But they have a lot at stake and are usually the ones that deal the most with some of the questions of inequality, segregation and the effects of gentrification, and are pushed to the margin when we are dealing with urbanization, urban transformation and urban renewal. Working together with community partners and with faculty and students from numerous disciplines, the School of Cities will be able to look at these complex issues critically and move the conversation forward, said Brail.